at 10702 5th Avenue Northeast, Seattle. The development was completed in 2018. Lane Apartments has a total of 215 units. 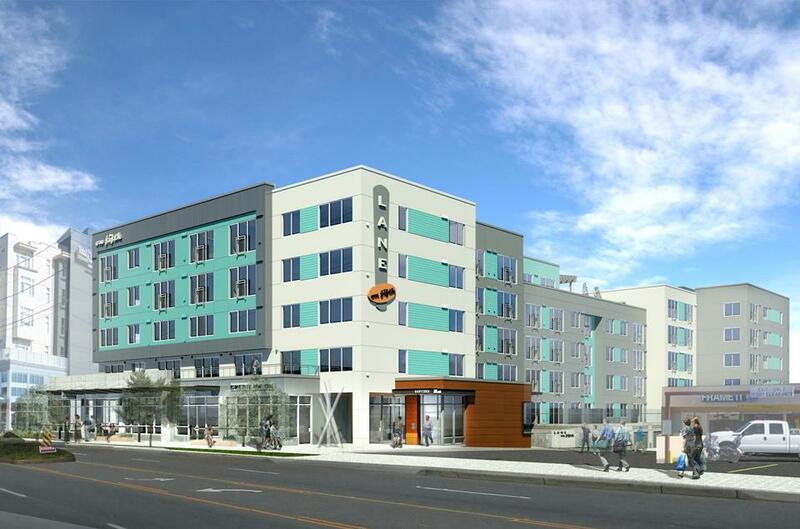 Located in the heart of the Northgate Neighborhood, the Lane on fifth Apartments will feature 215 market rate apartments in addition to ground level retail uses. The project is anchored by a strong retail presence beside the emerging pedestrian streetscape of 5th Avenue NE and generous outdoor amenity spaces including roof deck terraces and a sundeck. Inside the building, residents have access to a number of amenity lounges, a fitness center, extensive bicycle parking facilities, and modern interiors. Your inquiry will be delivered to the Lane Apartments leasing team, who will send you more information about this development.